Mexico's President Enrique Pena Nieto has condemned Donald Trump's decision to build a wall along the frontier of the two countries, saying "Mexico doesn't believe in walls." On Wednesday, Trump signed an executive order for the wall's construction. "I regret and condemn the decision of the United States to continue construction of a wall that, for years, has divided us instead of uniting us," the Mexican president said in a brief televised message to his nation. "Mexico does not believe in walls. I have said it time and again: Mexico will not pay for any wall," he added. Nieto is due to meet Trump at the White House next week also said he had ordered Mexico's 50 consulates in the US to act as legal counsel for the rights of Mexican migrants. "Our communities are not alone. The government of Mexico will offer legal counsel that will guarantee the protection they need," he said. US House of Representatives Speaker Paul Ryan said in an interview with MSNBC that the Congress would fund the construction of the wall along the US-Mexico border. "We're going to pay for it and front the money up," Ryan said, adding "there are a lot of different ways of getting Mexico to contribute to doing this." He also confirmed the declared cost of the project stood at $8 billion to $14 billion. Experts, however, estimate the cost will be much higher, at up to $25 billion. Trump’s wall would require around seven million cubic meters of concrete and 2.4 million tons of cement, according to investment firm Sanford C. Bernstein & Co.
“Most of the cement producers in North America are Mexican,” Nariman Behravesh, chief economist at forecasting firm IHS, was cited by Yahoo Finance. “As an infrastructure program, [the wall] could boost the Mexican economy. It could benefit Mexican companies,” he added. Building a 2,000 mile (3,200km) barrier along the Mexican border was one of Trump's key pledges in the election campaign. “A nation without borders is not a nation. 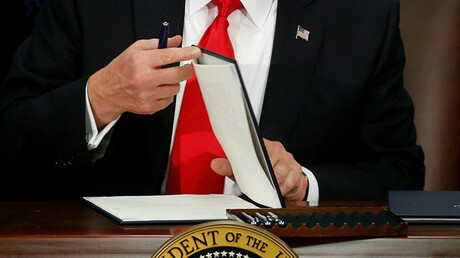 Beginning today, the US gets back control of its borders,” Trump said on Wednesday after signing orders to step up immigration enforcement and secure the US-Mexico border. Back in 2006, US President George Bush signed the so-called Secure Fence Act. 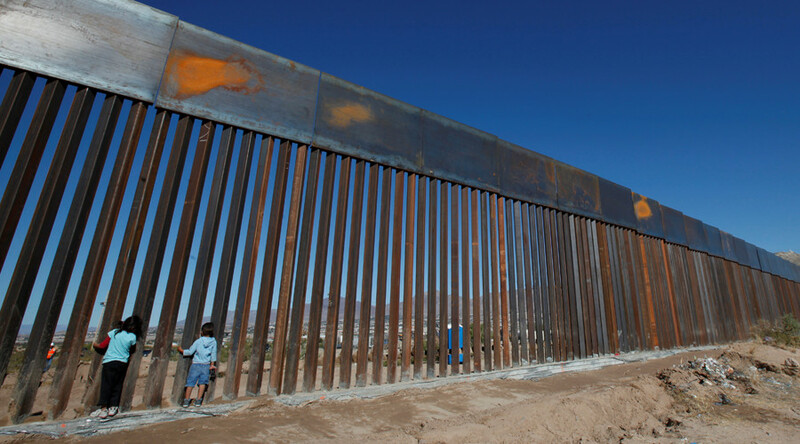 The law was supposed to help secure America’s borders - to decrease illegal entry, drug trafficking, and security threats by building 700 miles (1,100 km) of physical barriers along the US-Mexico border. The Bush and Obama administrations have constructed 652 miles so far.